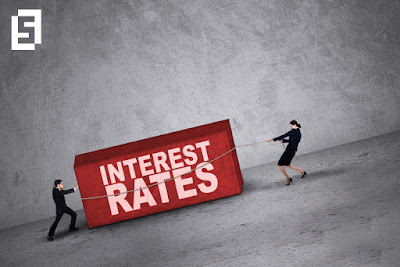 Interest rates are one of the hot topics that investors all around the world should monitor in order to improve their trading strategies by adjusting to monetary policy changes. May be the most popular interest rate news come from the United States, although the Eurozone, Japan and Great Britain also play an important role in financial markets. In case you are just learning and interest rates are still not a very familiar term on your vocabulary, we have put together five basic questions to help you. You can think of an interest rate as the cost of borrowing money, usually expressed as a percentage. When we talk about Federal Reserve rates, we are referring to federal funds rates or in other words, the percentage paid by a depositary institution to borrow money overnight. While these rates are only used by a selected number of top tier institutions, they have a very relevant effect on the economy as financial conditions depend on them. In the United States, fed funds rates are decided by the Federal Open Market Committee (FOMC), which consist of 7 governors and 12 presidents of regional Federal Reserve Banks. The Federal Reserve and other central banks work together with governments in other to support economic growth and avoid financial crisis. How to predict an interest rate move? While there is no secret formula, it’s neither complete magic. In order to anticipate an interest rate you should keep an eye on some key issues, such as remarks of FOMC officials (in case of the United States) or better even speeches from central bank leaders. You also have to understand that the tone is just a tone, and what really matters here are numbers. So, you better make a list of which indicators your local regulator uses as a reference. As for the Federal Reserve, inflation and labor market conditions are top priorities. That’s why nonfarm payrolls, unemployment rate, consumer price index or producer price index attract a lot of attention on a worldwide scale. How interest rates affect the economy? Higher rates increase the cost of borrowing money from large companies to individuals, hitting high-yielding investments such as stocks. In the long run, higher rates can turn into a bad thing for the economy, forcing it to cool down. Lower rates, on the contrary, promote economic growth as companies get access to cheaper credit as well as consumers, which ultimately bring more cash to the party. More investment and spending help build a more solid gross domestic product. But of course, there is a downside to it, overheating as inflation tends to spike.